Worldwide in 2018, over 18 million new cancer cases were reported and nearly 10 million deaths occurred according to the WHO International Agency for Research on Cancer1. 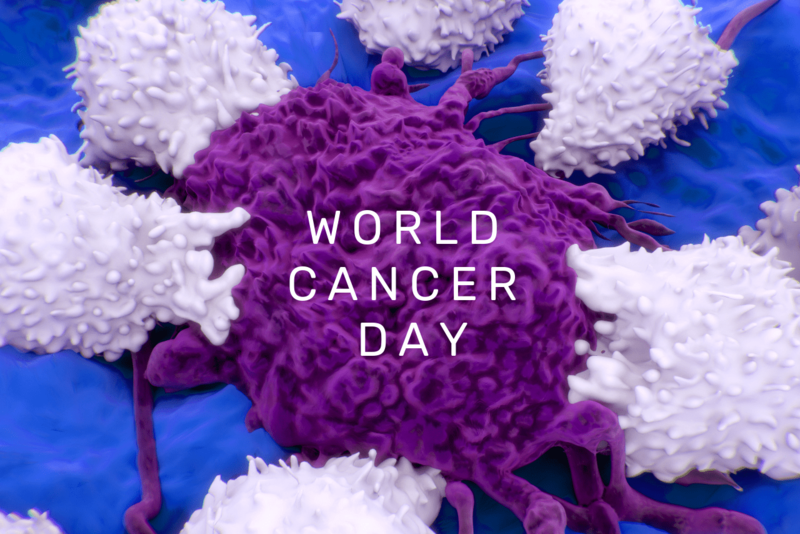 On World Cancer Day, patients, families, loved ones, advocates, professionals in the medical, academic, pharmaceutical and biotechnology industries and governments will come together to bring continued focus on the fight against cancer. We each seek to make a difference, supporting development of effective medicines for the minimization of morbidity and elimination of mortality from cancer. Listen to Mike Brown’s immuno-oncology podcast. Mike, Senior Director, Immunoanalytical and Bioanalytical Site Lead at Q-Squared Solutions (GA, USA), discusses the different tests required when looking at a potential therapeutic and what aspects of biology need to be considered. He also explores how important early engagement with the FDA and clinical trial partners are. Two new developments caught our attention in 2018. The release of the long-anticipated final Bioanalytical Method Validation (BMV) Guidance and a draft for the first in a series of four patient-focused drug development (PFDD) guidance documents from the US FDA as part of the 21st Century Cures Act (2016). The BMV speaks for itself, while the PFDD guidance’s will influence disease focus, special patient subpopulations, disease-specific endpoints, preferences related to therapy and the design of trials themselves. This will have an impact on how we develop and validate assays, the platforms selected and the rapidity at which data will be needed to drive drug development decision making. In the coming years we will see further maturation of an integrated approach to cancer treatment with the composition and temporal sequence of delivery of chemotherapy, surgery, radiation, and immunotherapy informed by pharmacogenomics and biomarker data. This will be driven by growth in more complex modalities including CAR-T, oncolytic viruses and gene therapies. It also will necessitate diversification of the technologies employed in regulated bioanalytical labs or addressing the divide between CAP/CLIA testing and ‘GLP’ to overcome barriers that currently inhibit the full benefit of cross-disciplinary expertise and data. Accessing and applying the learnings from this growing body of data will also minimize toxicities, mitigate the potential for drug resistance and generate favorable and durable responses for the products in development we support.